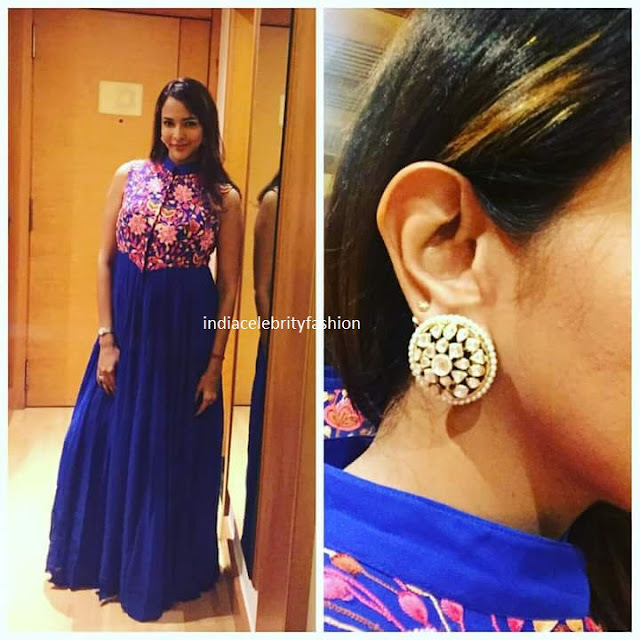 For an event in chennai Lakshmi manchu donned a Hirika jagani blue gown with embroidery work on the yoke and house of sikha earrings. For Magus Life Foundation event she chose a Akruti Ethnic couture crop top and long skirt which has floral embroidery work and eurumme earrings. Which outfit do you like the most ?